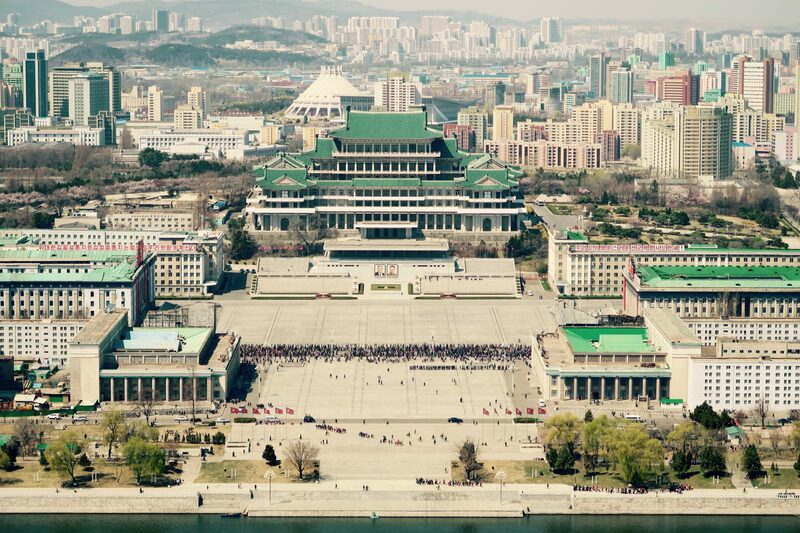 During this tour, we’ll be hitting up all the must see sights of Pyongyang including the Mausoleum where both President Kim Il Sung and General Kim Jong Il lay in state. We’ll also experience the deep Pyongyang metro as we ride not two but six stations of line 1! We’ll also have an opportunity to visit the Korean War Museum and see the North Korean’s story of the war that took place against the Americans. No trip to the DPRK is complete without visiting Panmumjom (the DMZ) from the North side where North and South Korea meet head on! As well as lots more to do and see! 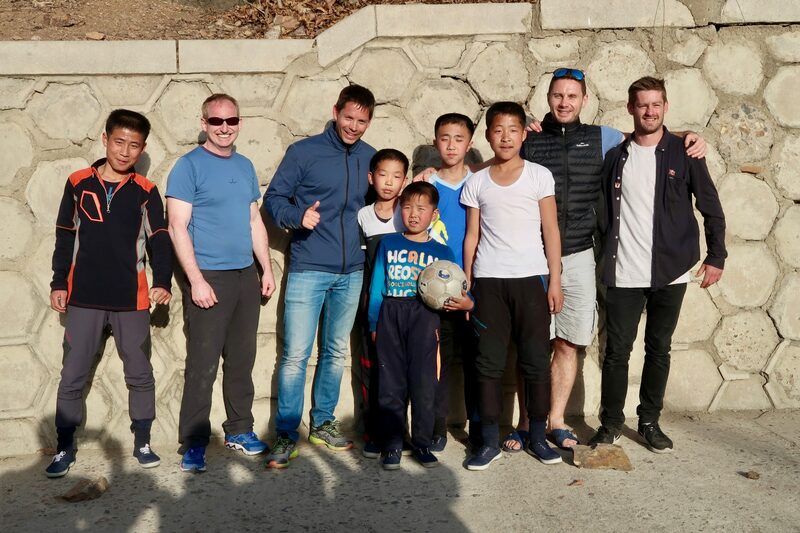 We’ve combined this unique DPRK holiday with a very exciting trip up to Mt Paektu in the far north east of Korea. We’ll be chartering our very own plane to reach a path well off the beaten track! 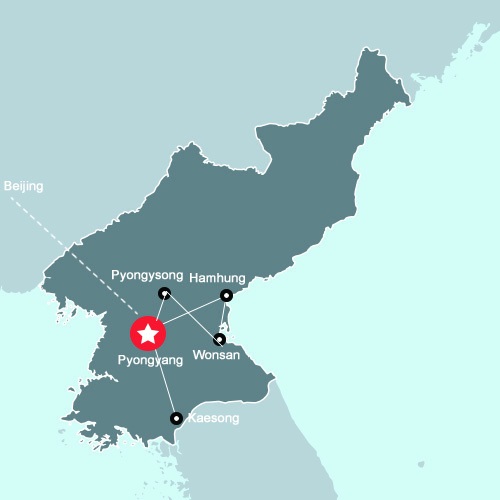 Whilst we’re exploring the north east region we’ll stop by Secret Base Camp where Kim Jong Il was born, early revolutionary camp sites where the Koreans began to stage their attack against the Japanese and to stay overnight in the quiet, gorgeous town of Samjiyon. This is one of the biggest holidays of the year and with our very own flight up to Mt. Paektu, it’s an adventure not to be missed! Flight takers depart Beijing Airport Terminal 2 on Air Koryo at 13.00pm (Group will meet at Air Koryo check in counter). 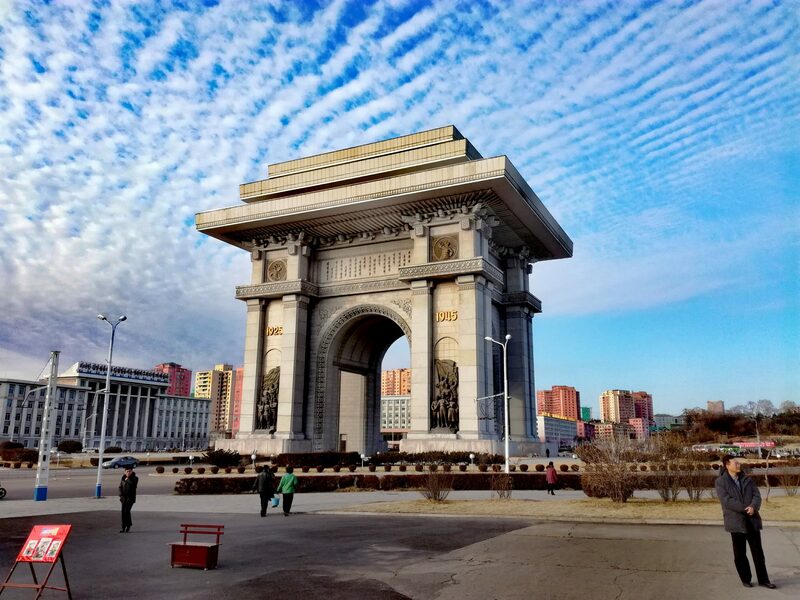 Visit Mansudae Grand Monument – the two large bronze statues of President Kim Il Sung and Leader Kim Jong Il overlooking the city. (Optional extra- you can present flowers if you wish: 5 euros). Visit the Juche Tower – (optional 5 euro to go to the top). Revolutionary Martyr’s Cemetery – The resting place of the greatest of the anti-Japanese revolutionary fighters. Each grave features a bronze bust of the hero laid to rest within. Visit Moranbong hill to dance, party, and mingle with the locals as they celebrate the biggest holiday of the year! Mangyongdae Schoolchildren’s palace- The largest of the schoolchildren’s palaces (extracurricular centres) in the DPRK, we’ll first observe some lessons then watch the amazing performance. 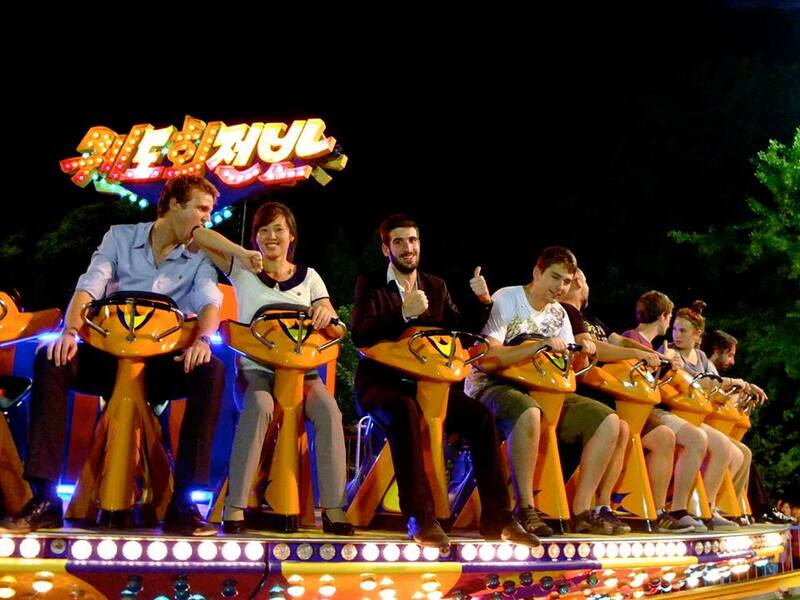 Join the locals on Kim Il Sung Square to watch the fireworks. Lunch at the Thongil Restaurant in Kaesong City- try your hand at traditional Korean Pansangi- a series of dishes served in bronze bowls. (Optional extras- Dog soup 5 euro, Ginseng Stuffed Whole Chicken 30 euro- can be split between several people). Get back to Pyongyang for dinner at the National restaurant with performance! 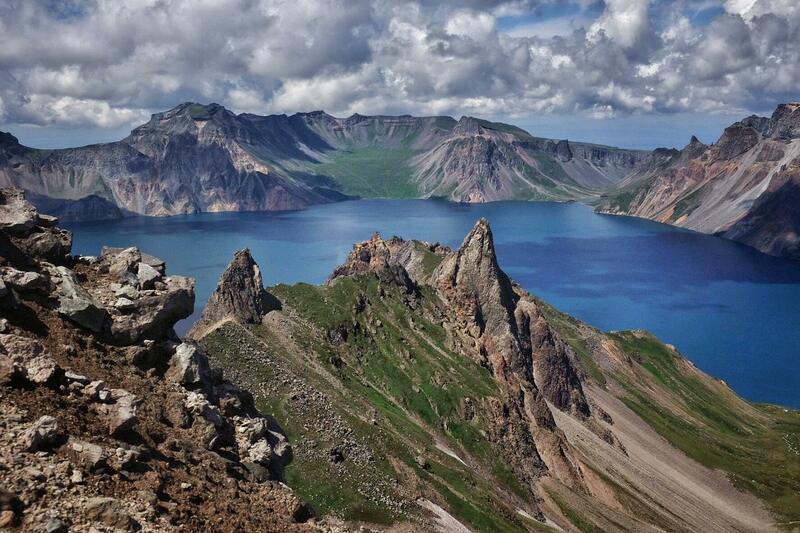 Check out and take a YPT chartered flight to Samjiyon airport near the very famous Mt Paektu. For plane enthusiasts this is the ultimate experience as we fly in a small 44 seater Antonov 24! Drive to Mt Paektu then hike or take the incline railway for 2.5 euros to the top. (1 hour hiking). Observe the spectacular views from the top and wave to China! This particular spot is a very famous background for the portraits of the leaders. If weather permits we can hike down to Chon Lake. 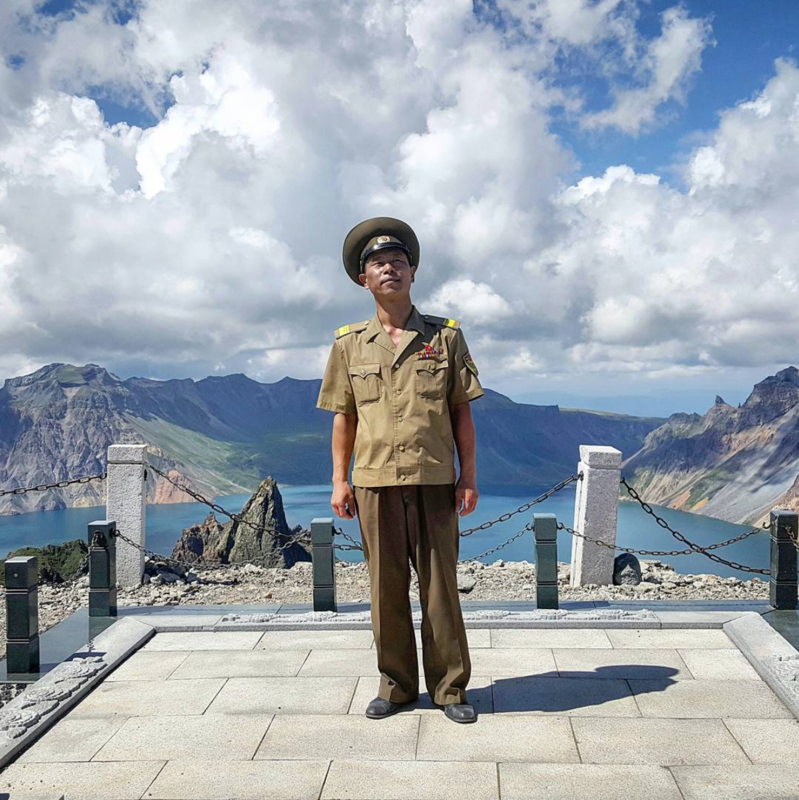 Visit Mt Paektu secret base camp – Headquarters of the anti- Japanese revolutionary struggle and the birthplace of General Kim Jong Il. Rimyongsu Waterfall – one of the most famous and beautiful waterfalls in the DPRK. Chongbong Bivouac – Where the main force of the KPRA stayed on the first night when going to the Musan area. It features the headquarters, kitchen, barracks, and a statue of the President Kim Il Sung. Dinner and overnight at the Begabong hotel, where we can enjoy amazing sky views, and true tranquillity. Usually our groups sit outside at night drinking and talking with the Korean guides. Overnight at the Youth hotel to experience another hotel in Pyongyang! This hotel was built for the World Youth Games back in 1989 and has Pyongyang’s only outdoor swimming pool that tourists can jump into! Flight members depart at 08:30am for Beijing on Air Koryo. (Arriving at 10:00am Beijing time). Train members depart at 9:55am for Beijing on train K28. If you can wake up early you can swim in Pyongyang’s only outdoor swimming pool at the hotel.